← Got Grass growing out onto your Sidewalk or Driveway?…Edge it! During the Summer months in the 1960’s my Mother and Father, along with my maternal Grandmother, Aunt Anna, Uncle Micky, and my Sister and I would all pack into our family car and drive to Saratoga. We would go from Grandma’s house in Mechanicville, NY on back country roads, traveling around Saratoga Lake and ending up on Rt 9P, which brought us to Yaddo. My mother, her sister and grandma are/were garden mavens. The ladies just loved looking at all the roses, trees, and perennials growing at that place. My sister and I, being kids, were more attracted to three things on that estate. They were the fountains and man-made pools that were stocked with Gold Fish and exotic looking Coy, the woodland walks that looked spooky, but never the less, we wanted to explore those areas, and the Yaddo Mansion itself. The Yaddo looked like a place where Count Dracula, or the wicked Witch of West would live, and you could almost see them up on the Yaddo tower. We made, many visits to Yaddo, back in the day, sometimes even bringing a picnic, but after Grandma died, we seemed to not go anymore. On a recent August day (the 19th), my sister and I were in Saratoga and decided to make a return visit. 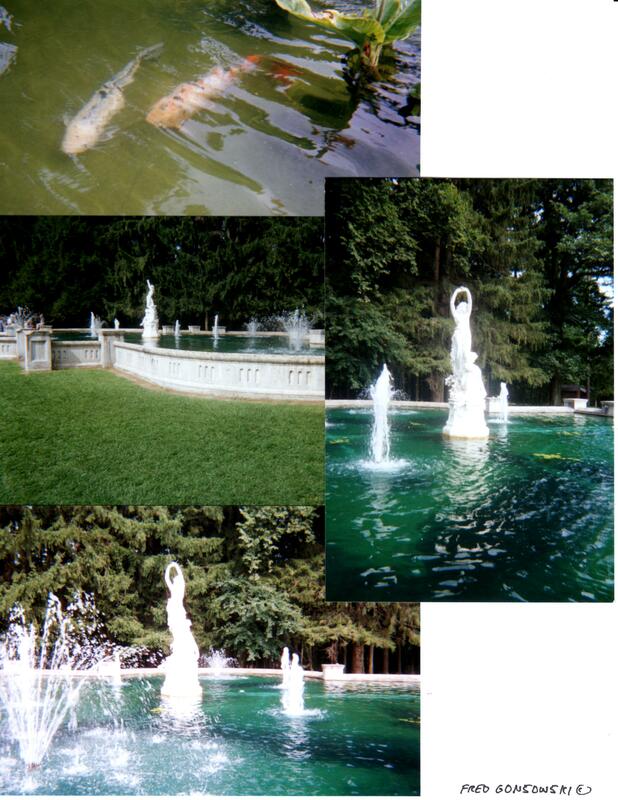 Located just off of Exit 14 of Interstate 87 (the Adirondack Northway), at 312 Union Avenue in Saratoga Springs, New York USA is the 400 acre gilded age estate Yaddo. 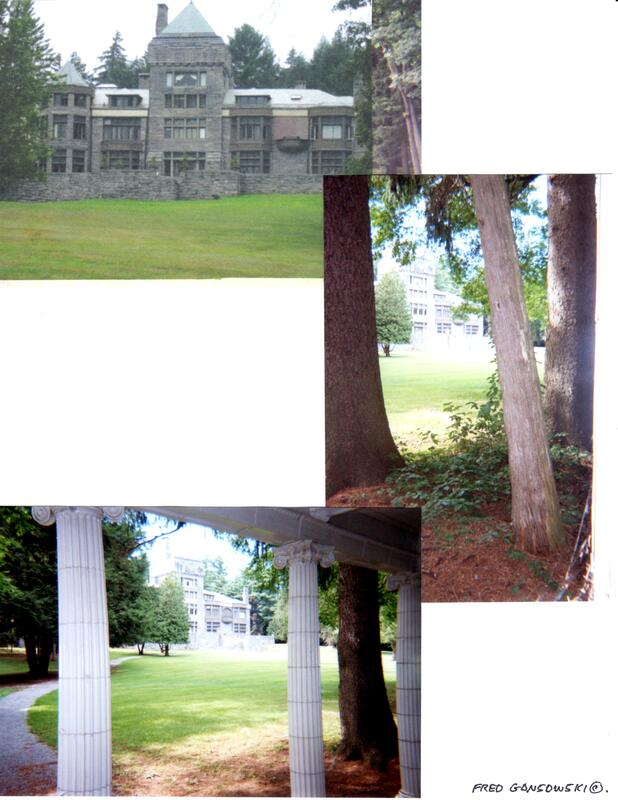 Yaddo was originally the Summer home of Spence and Katrina Trask and their four children. Rumor has it that the estate was originally going to be called Shadows, but one of the Trask children pronounced Shadows Yaddo and the name stuck. The Trasks were always lovers of the arts and their life’s mission was to create a place away from the heat, pollution and hustle bustle of the city, where people with artistic abilities could create. 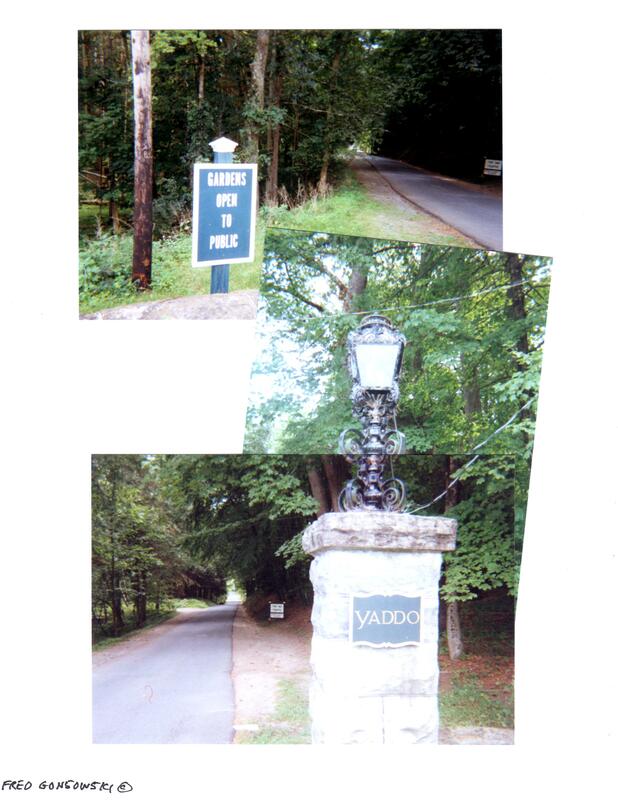 After passing through Yaddo’s Union Ave entrance gate, one is instantaneously transported back in time to a more gracious and romantic period. 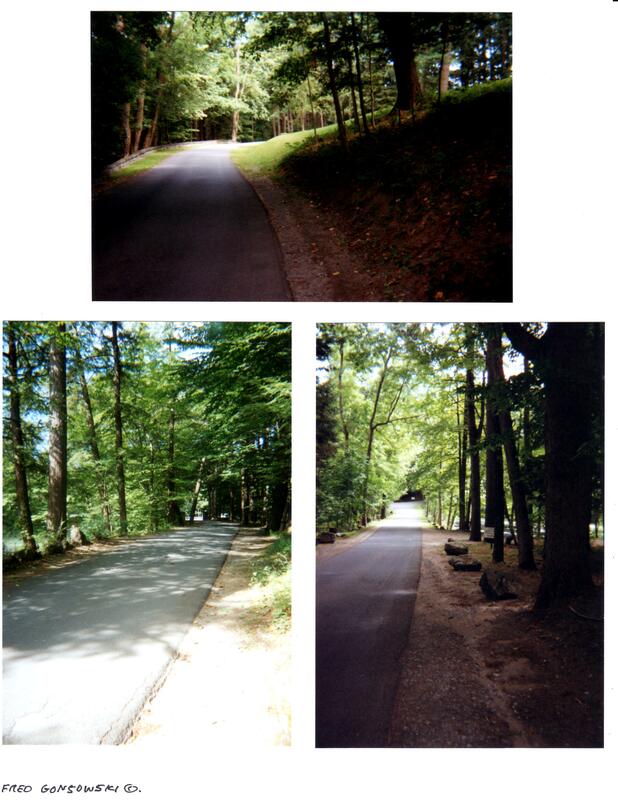 A gently turning road that is flanked by towering trees, which cast long shadows, leads you toward the mansion. On your approach to the house, unbelievably beautiful views of ponds, ravines and woodland vistas, that look like the paintings of the Hudson River Artists Frederic Church, Thomas Cole, and Asher Durand are everywhere you look. After parking your car, start walking toward the house and gardens. The Yaddo Mansion / Castle is sited on a hill to your right. It is a 55 room English Manor residence that was designed by architect William Halsey Wood, blending Medieval, Gothic and Renaissance styles. It has also been considered a “Modified American Queen Ann”, and is 45,000 square feet covering three floors. The mansion is seldom open to the public because it has been an artist’s and writer’s retreat since 1926. To your left, right opposite the mansion, at the far end of the Great Lawn, is the Italian Fountain. Many geysers and other sorts of water features throw water into the air surrounding a white marble statue. Look for lily pads grow and fish swimming in the water. After that pass through the Spencer and Katrina Gate, which opens onto the rose garden. Make sure to look up and see their initials carved across the top of the arch. The Rose Garden which is divided into four sections will be the next point of interest. The garden has been planted in a Classic Italian Style with hundreds of Hybrid tea, Floribunda, Grandiflora, Rugosa and Climbing Roses in the colors red, pink, white and yellow, which Katrina Trask liked. 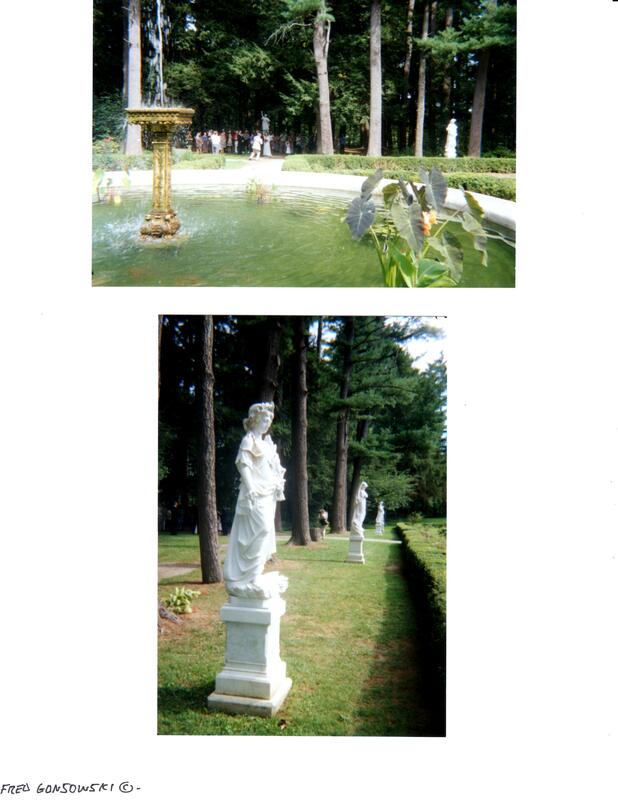 White marble statues depicting the Four Seasons and Christalan who represents youth are to your east. Counterbalancing the Rose Garden on the terraced hill are the Balcony with Sundial and the rose-covered terra-cotta Pergola. 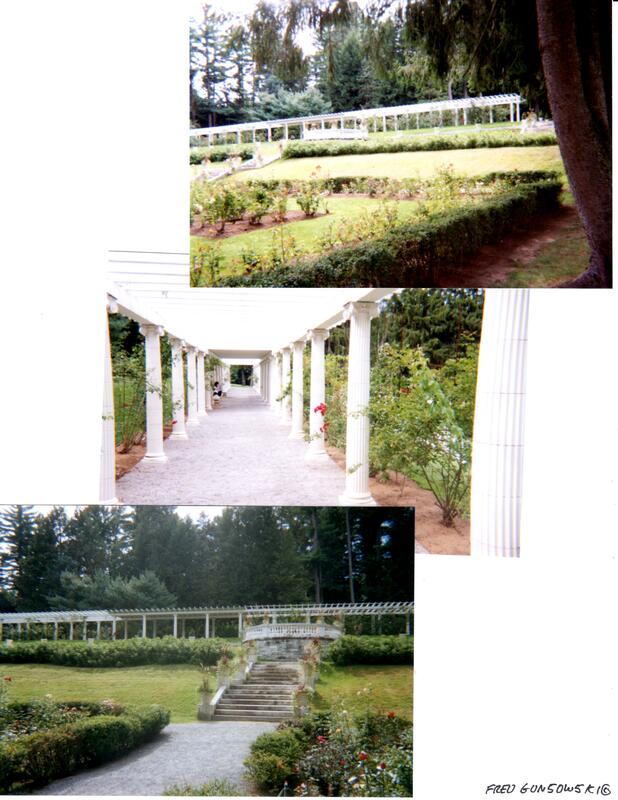 On the land behind, and somewhat alongside the Pergola is the Rock Garden. Its two attractions are the Upper and Lower Pools connected by a Water Rill. Dolomite Rocks were used for visual interest. A large pyramidal pile of stones in the Upper Pool has a single spray fountain/geyser shooting out of it. The sound of the shooting water pierces the quietness of the area. All kinds of woodland / shade loving plants thrive in that place. Around the lower pool and fountain are planted perennials showing a riot of colors, that grow happily there. 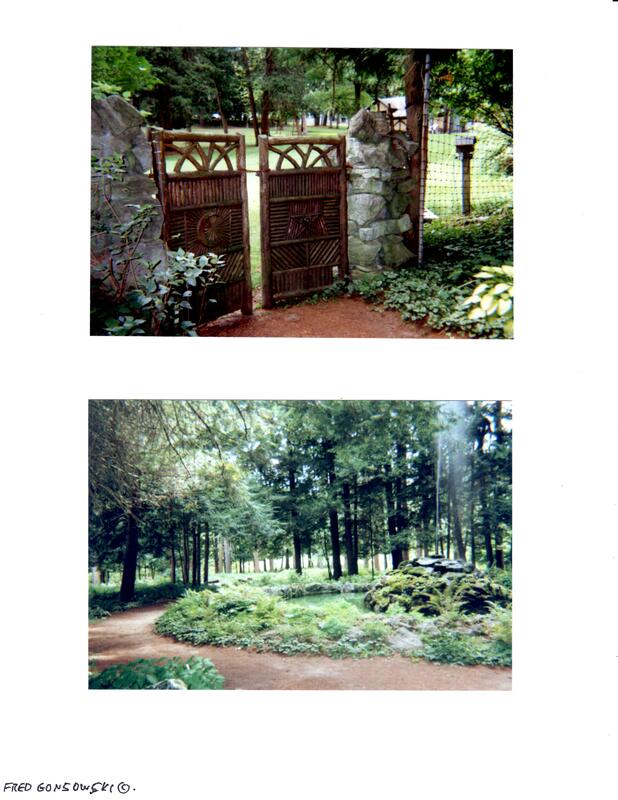 At the back of the Rock/Shade Garden you will see two gates that were possibly the two main entrances to the garden from the great house, when the Trasks lived there. 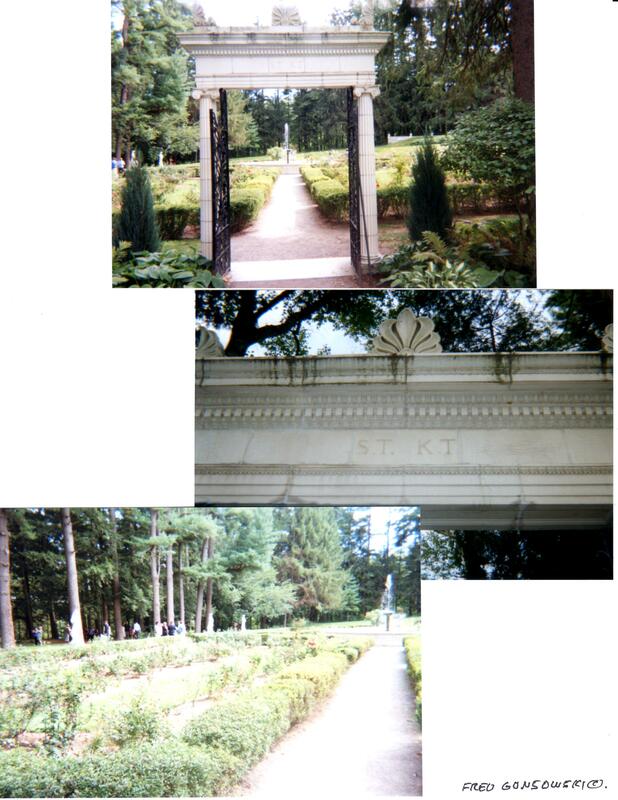 One is made of wood in an Adirondack Style, the other called the Portico is made of stone and mimics the Spencer and Katrina Gate, that you enter through to the rose garden, but is more elaborate. 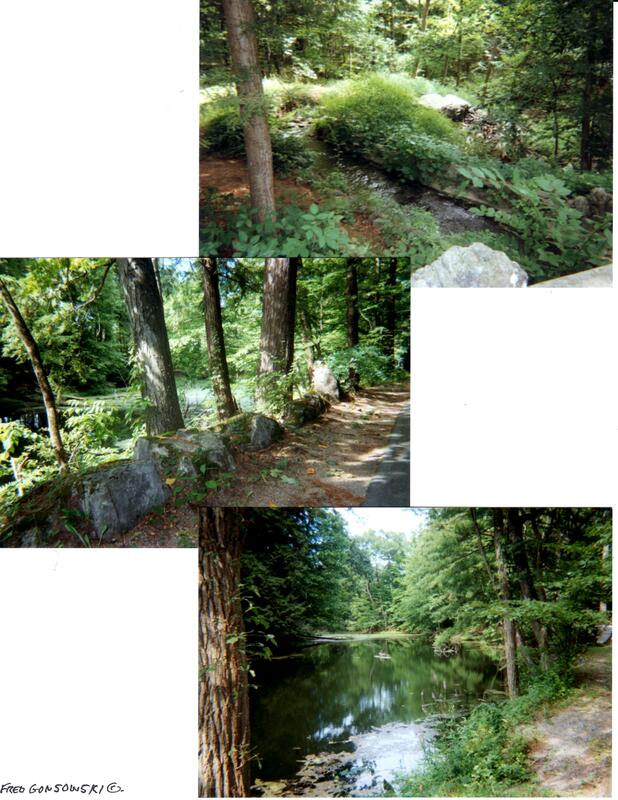 After going through the Rock/Shade Garden you will be finishing up your tour of the Yaddo Gardens. Before getting into your car and driving off, first walk back toward the main gate you entered through. The views are spectacular, and you really don’t see how beautiful the grounds are while driving. After getting back to your car, don’t just leave yet. Walk down to the exit gate and see more wonderful woodland sights that are a feast to the eye. People say you can never go home, or things of the past, if revisited might not be all that special now. I feel when it comes to Yaddo, the place has become even better. 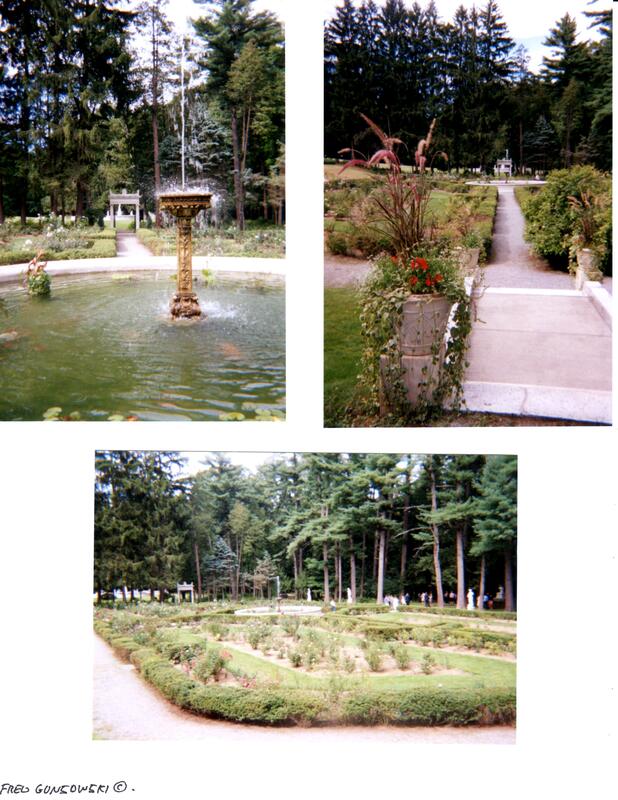 With the help of the Yaddo Garden Association, the many volunteers and sponsors, the place looks nicer now than the way I remember it as a child. Yaddo is definitely worth a stop, if you are in the Saratoga Springs, NY area. 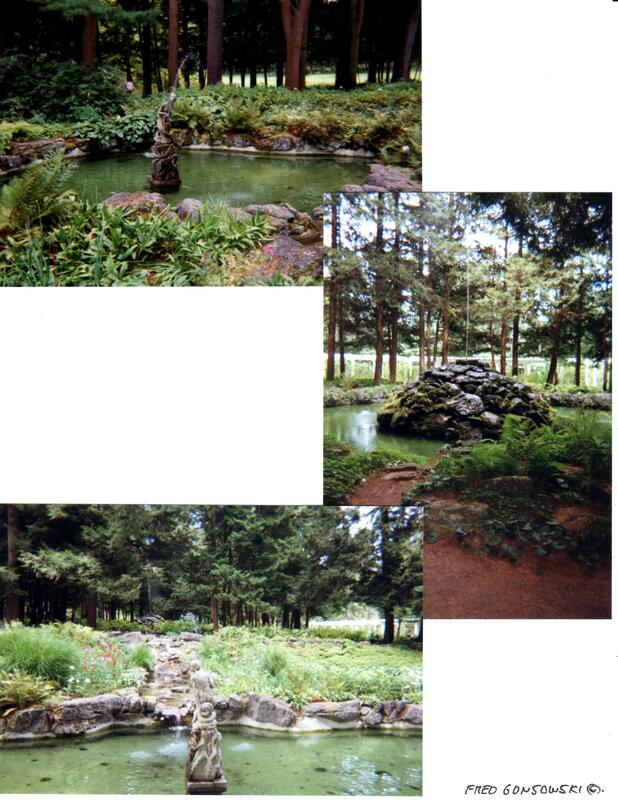 For more information about Yaddo check out their website. It is http://www.yaddo.org or call 518-584-0746. (You can also click on their direct link, it is at the end of the first comment (below). Hi Teresa, Yaddo is Saratoga’s Best Kept Secret. I don’t know if they ever advertize the place, but people in the know, know it is there. 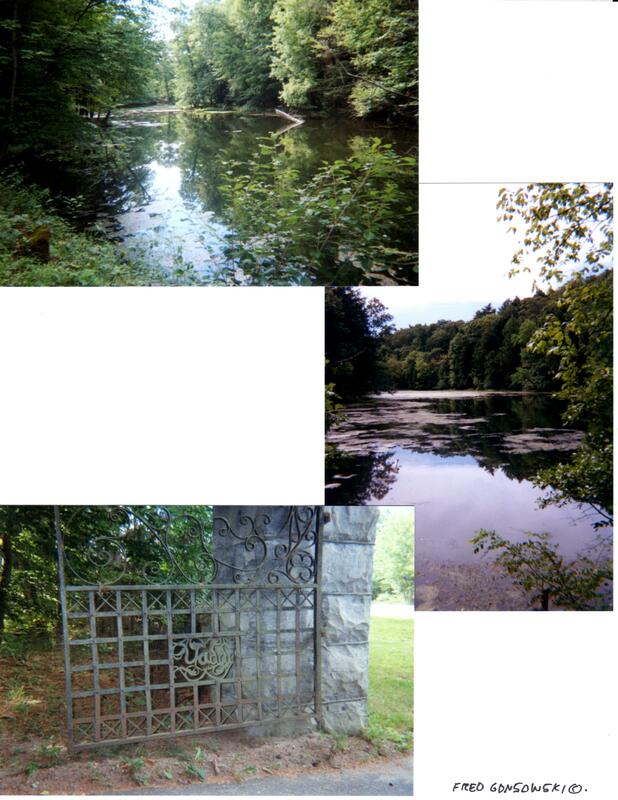 The Link to Yaddo is http://yaddo.org/yaddo/history.shtml Click on it to go directly to their site.